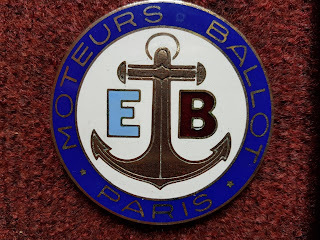 The two brothers Edouard et Maurice Ballot started the company Etablissement Ballot in Paris in 1905. 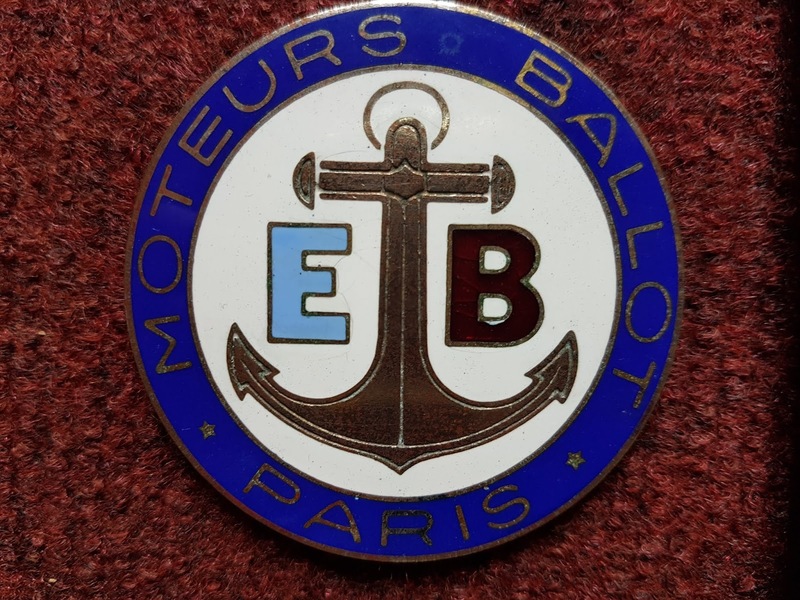 Before the Great War the factory concentrated on marine and industrial engines, therefore the anchor in the badge. 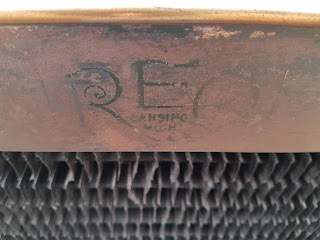 At least since 1911 they also produced automobile engines. 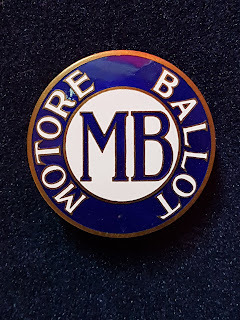 A lot of different car makers as Delage, Mass etc. used Ballot engines. 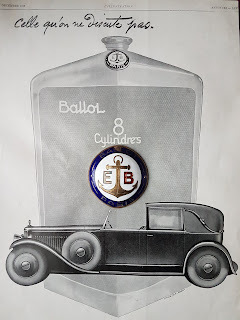 From 1919 on the Etablissement Ballot built cars themselves. These cars had a very sporty reputation. 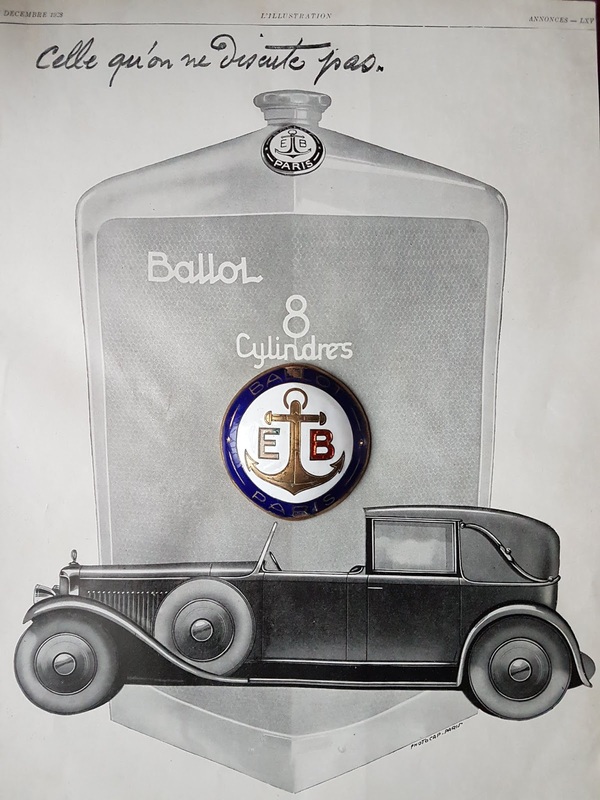 Car production ceased in 1931 when Hispano Suiza bought the factory to build the Hispano "Junior". 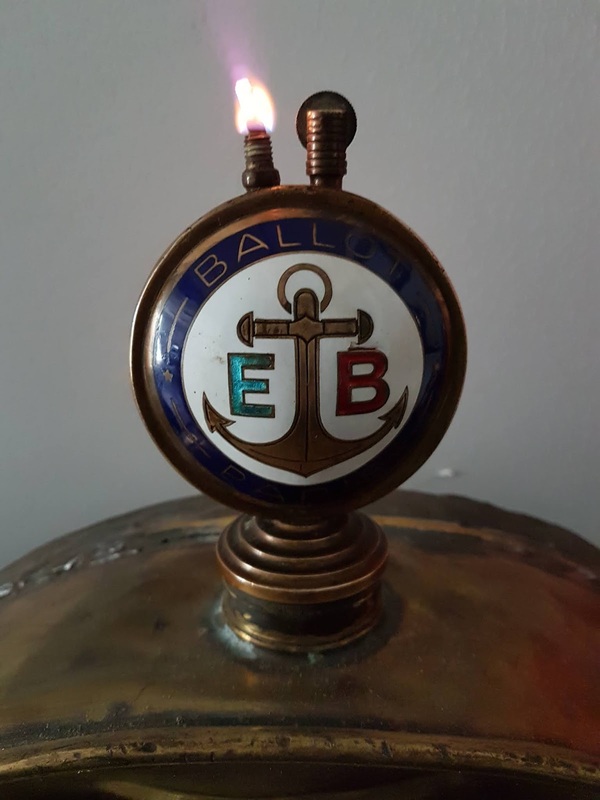 flat repro emblem using the wrong blue on the letter E. The original blue is transparent ! For more beautiful car and truck emblems see older posts or top right ( list of car makers ).